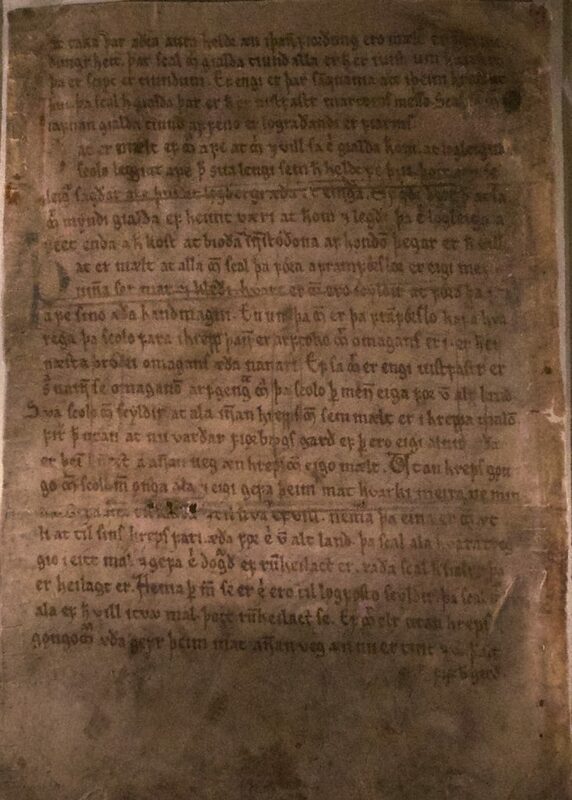 This Icelandic writing on vellum dates from about AD 1250 and is part of the Gragas Law Code. The artifact is on display in the Icelandic National Museum in Reykjavik, Iceland. And here we are 767 years later in a free-for-all death spiral of greed and indifference.